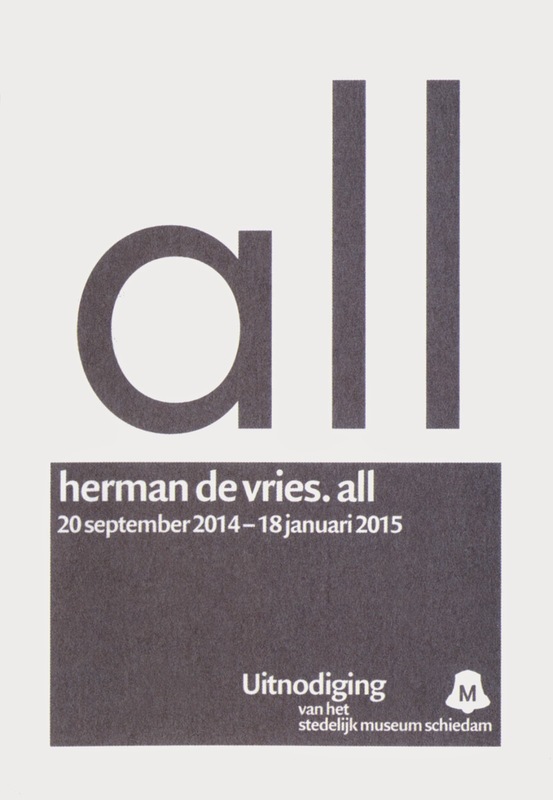 A large retrospective exhibition of herman de vries at Stedelijk Museum Schiedam and at the same period at projectspace De Ketelfactory in Schiedam. 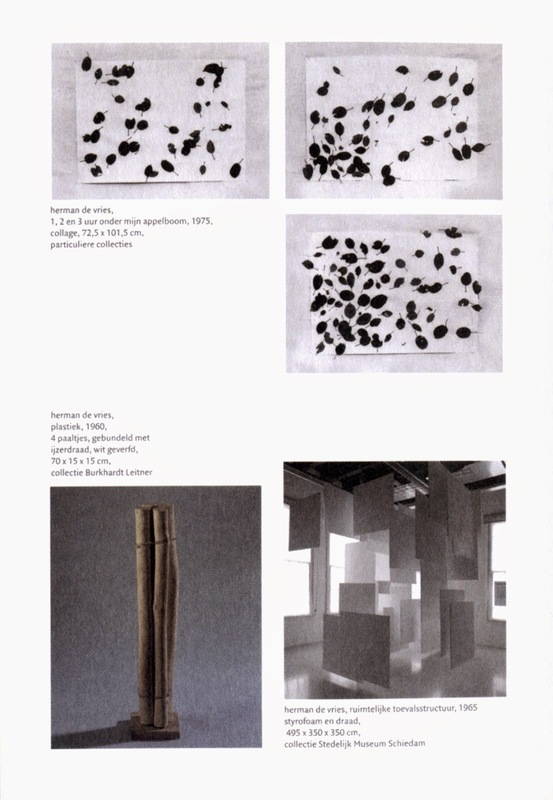 In the park De Plantage in Schiedam there are three outside works by herman de vries installed. 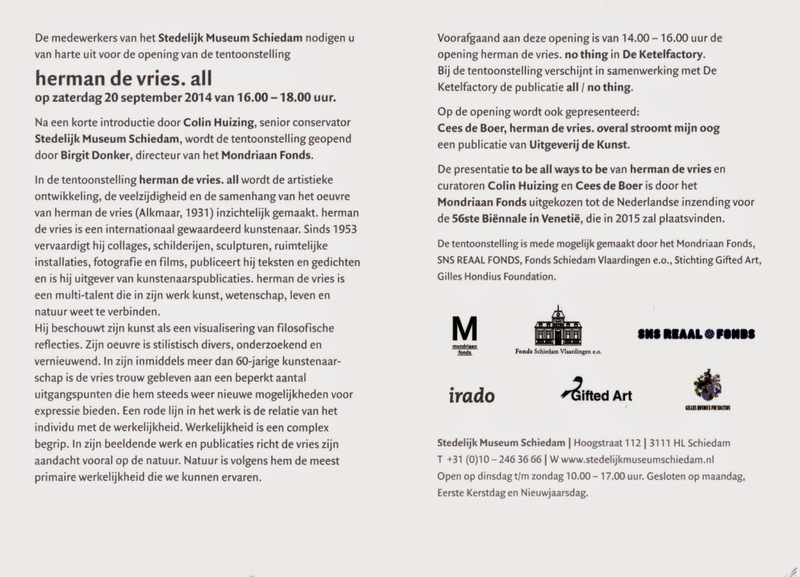 The introduction on the opening in De Ketelfactory on Saturday 20 September will be held by Katharina Wintherhalter and in the Stedelijk Museum by Colin Huizing and Birgit Donker. 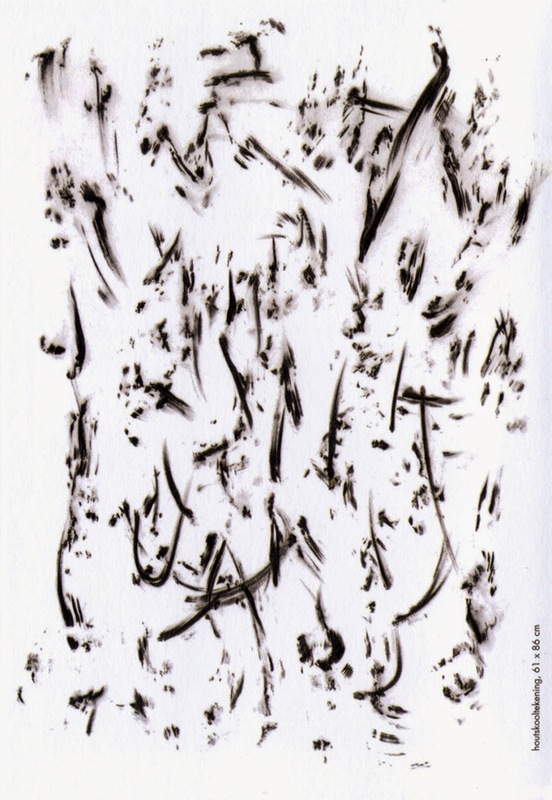 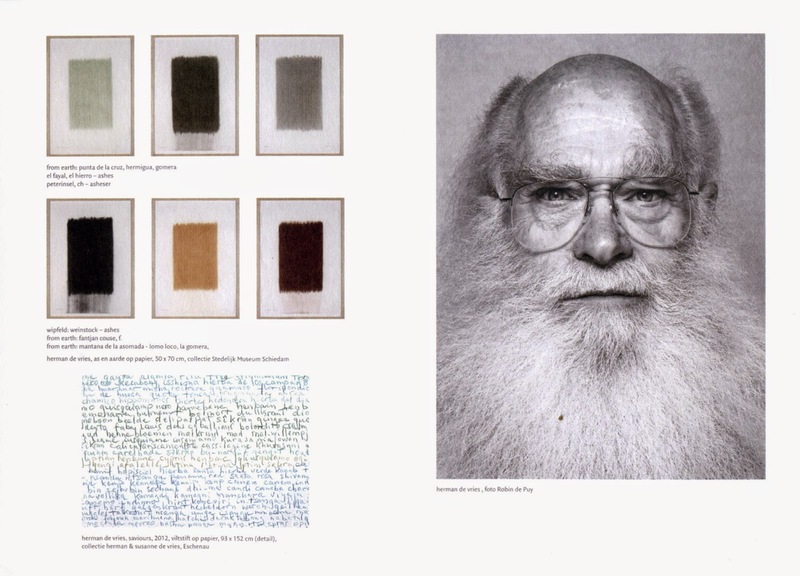 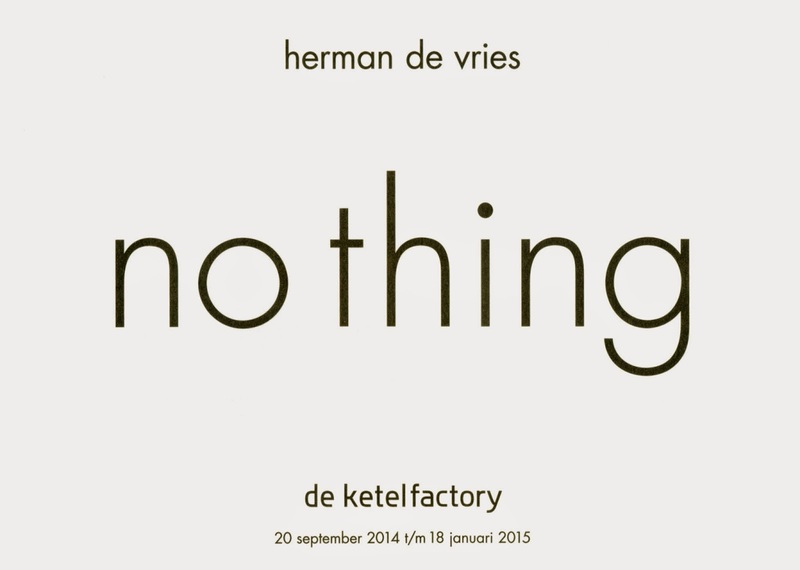 On occasion of these exhibitions there will be a publication herman de vries – all | no thing. 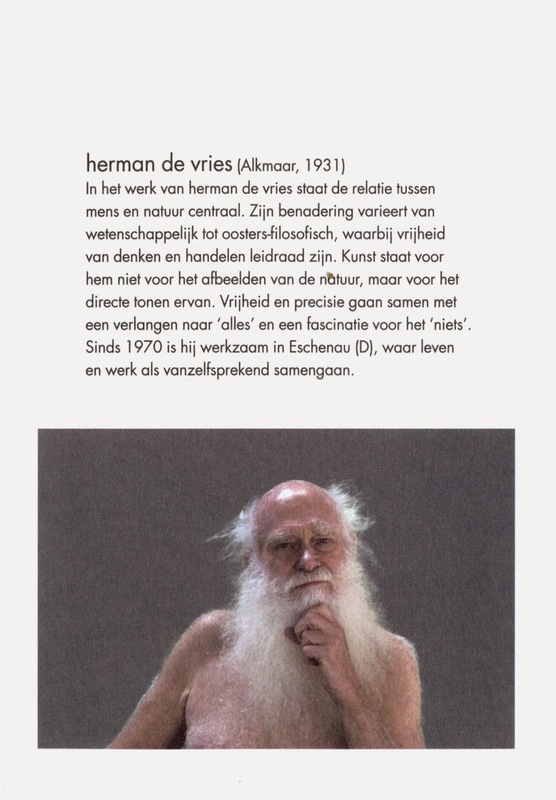 And on the opening a new publication by Cees de Boer, herman de vries. 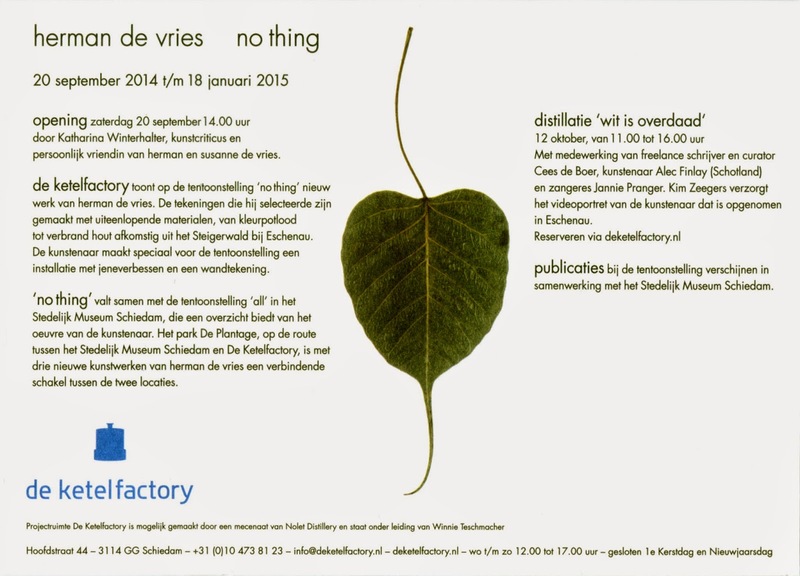 overal stroomt mijn oog, will be launched.